A Screenshot represents the snapshot of your monitor or multiple monitors (if connected in extended mode). This post describes how you can capture screenshot on a Windows 8 , Windows 7 and other Windows computers. The functionality to capture screenshot of whole desktop or a single application is inbuilt into the windows operating system. In order to utilize this functionality to capture screenshot, you would need access to your keyboard. In case you do not have access to your computer’s keyboard, you can use the On Screen Keyboard utility which is present in Windows 7. On Windows 8, the author has not checked the On Screen Keyboard, but there are good chances that the virtual keyboard software utility will be there in Windows 8 as well and should allow you to capture Screenshot without access to physical keyboard. Whether you are using On Screen Keyboard or a physical Keyboard to capture Screenshot, the method remains the same. First you would need to decide whether you want to capture screenshot of your whole desktop (including any extended monitors connected) or Main Monitor’s Desktop Only or Screenshot of some specific Software. In case of a Multiple Monitor Windows Computer, Windows provides a way to capture Screenshot of all the monitors connected in extended mode. In case you would like to capture Screenshot of only Main Monitor in a Multiple Monitor Windows Computer, then you might be interested in MurGeeMon Software which provides a configurable shortcut key combination to capture screenshot of Main Monitor only and lots of other functionalities for dual or multiple monitor windows computers. In order to capture Screenshot of your whole desktop or whole screen, locate the Prt Scr button on your physical or virtual keyboard. Once you have located the button, press it once. Yes once you have pressed and released the Prt Scr button on your keyboard, the snapshot of your display will be stored to your clipboard & you would not see anything visible to indicate that the screenshot of your display has been captured. 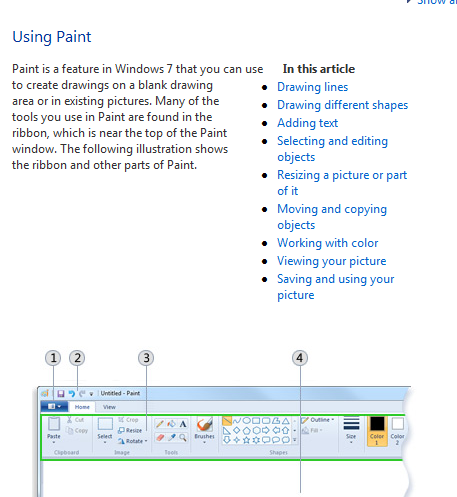 The next step is to open up an image editor like mspaint.exe and click on the Paste option or press Ctrl + V.
Once you have pressed the option to Paste the Desktop Screenshot captured by pressing the Prt Scr button keyboard, you will be able to view the snapshot in the selected Image Editor. Just like any image, you can save or edit the captured screenshot and use it as required. Many times Software Support people ask for a Screenshot so that they can view any issues with the software & fix it. 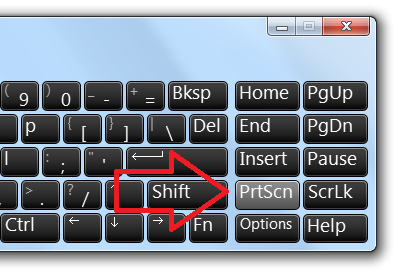 In case you would like to capture the Screenshot of some specific software or active window only, you can press Alt + Prt Scr (Press the Alt Button, then without releasing the Alt Button on Keyboard, press the Prt Scr button and release it and then release the Alt button on Keyboard) to capture the screenshot of only the active window and not the whole desktop. Once you have captured screenshot of a specific window, you would need to paste the screenshot captured in an image editor or word document or while composing an html email or whichever software can read images from clipboard to view and use the captured screenshot as required.